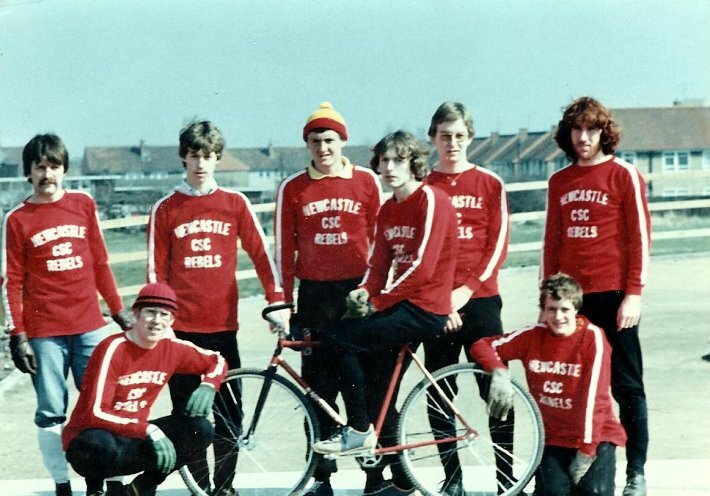 Following a successful season in 1979, Newcastle prepared for a second year in the Scottish and Tyneside League. 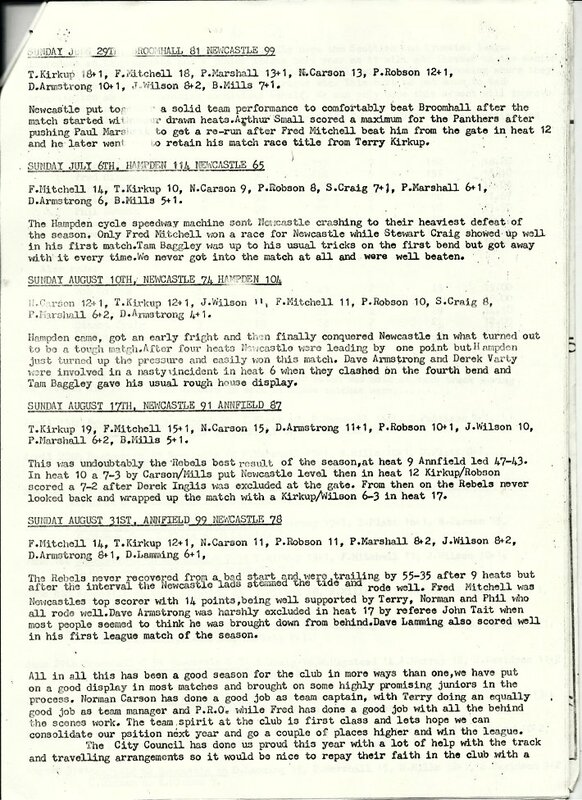 Official junior matches were to be held after the main league match. 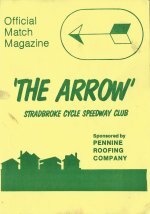 Home meetings were to be raced on the new track at Fawdon. The season began with home and away challenge meetings with Hull. 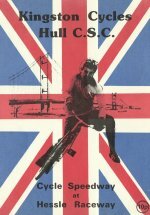 The aggregate score was close, with Hull winning 186 - 171, both teams coming out on top at home, Hull 98 - Newcastle 79, Newcastle 92 -Hull 88. In the league, Newcastle were 3rd. of 6, losing two at home and winning two away. 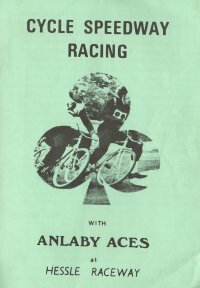 For a review of the season, I can do no better than to use a contemporary report, from the locally produced "Rebels Review", edited by Terry Kirkup. 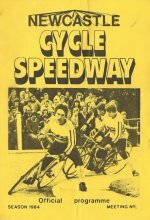 L-R (standing) Norman Carson, Paul Marshall, Rob Gittus, Terry Kirkup (on bike), Fred Mitchell. 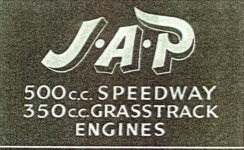 Alan Patterson. (kneeling) Dave Armstrong and Phil Robson. 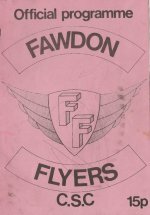 A new team was formed at Fawdon with a view to enter the Scottish and Tyneside League in 1981. 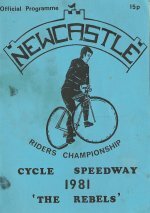 Headed by former Newcastle rider Ashie Patterson, practice meetings were held throughout the summer. 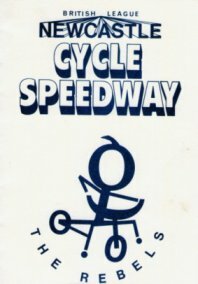 Made up of experienced and new riders, some of those looking to impress were :- Rob Gittus, Rob McAlinden, Joe Welsh, Ashie Patterson, Tony Foster, Peter Loveday, Alan Dixon, S Sample, A Chambers, S Makepeace, G Paxton, D Bryden, D Ratcliffe, K Bryden, E Bruce, P Makepeace, D Marsh and J Madison. 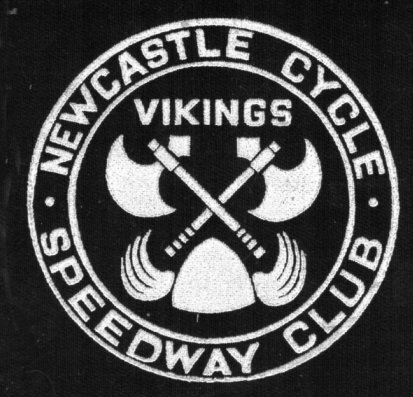 The 1980 Newcastle Rider's Championship was won by Terry Kirkup after a run-off with John Wilson who was in only his first season, both had scored 18 points. 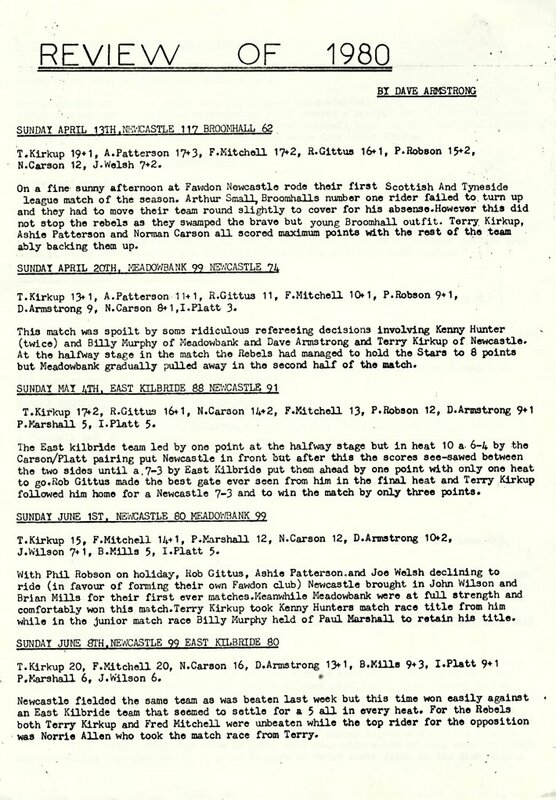 Third was Fred Mitchell with 17, after a run-off with Norman Carson. 5th and 6th were Phil Robson (16) and Stuart Craig (14). The Junior championship was won by Stuart Craig (18) then Ian Platt (14) and Phil Marshall (13).